​Thanks for taking a look at my Goal Profits Review. If you’re like me, and are looking for a good educational resource, then this could be the service for you. Established by Steve Brown and Kevin Laverick, this award winning service (won best product 2014,2015,2016 and 2017) has certainly stood the test of time. That fact alone Is very reassuring, as there’s a lot of “fly-by-nights” In the betting World. If you’re serious about making a full-time living from football trading on Betfair, then this should be your number one stop! Membership is by monthly subscription and costs a mere £37. In fact, I you just wait 5 minutes on the home page, you’ll even get offered a £10 discount. I recommend you take advantage of it!. When you log In, there’s a myriad of Information. Goal Profits have taken care of this, and all beginners are signposted to the Launchpad area. The purpose of Launchpad Is to teach you the basics of trading, whilst allowing you to build a portfolio of trading methods which will suit your trading style. Within Launchpad are 16 weekly modules, which enable you to try out your new found trading skills. Particular attention is paid to staking, recording results, bank management as well as analyzing results. Getting under the skin of this will really assist your understanding, and boost your results. In my 20 odd years of betting, I’ve never seen such a resource of statistics covering every area of football betting. Goal Profits have really got It nailed, nobody else comes close. These stats alone will give you Ideas how to make an edge with your trading. In fact one stat I used demonstrated that approximately 91% of all football matches don’t end in a 0-0 draw. That enabled me to develop a method on It’s own. That alone more than paid for my monthly membership. Every fixture over 65 leagues are meticulously recorded In the database, ready for members to access at will. There are some very surprising habits of certain teams within this goldmine resource. The 16 Weekly Part Launchpad ​Course. 16 ready made profitable football strategies. Access to the unique Stats database. Access to the members chatroom, to discuss strategies. Video’s of live trades, Including commentary and Q & A.
In-play and correct score selections. ​It’s Important when starting out that you can fit everything In, afterall we all have demands on our busy lives. Just to reassure you though, that Launchpad Mentors Tim and Bryn, both learned to trade professionally around 60 hour a week jobs whilst juggling young families. Before you ask, many full time traders within Goal Profits have now given up their jobs for good. 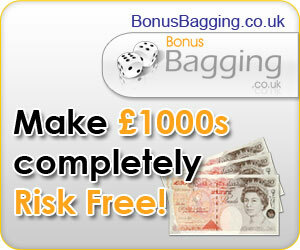 Can you Imaging spending a few hours daily trading tax-free, whilst making a lot more than the old day job. It sounds great doesn’t It? Goal Profits can make this a reality for you too. ​Steve and Kevin recommend a £500 bank to get started. Most of this money Is there as a safety net, and you won’t be using all of it at any one time. The course is actually designed so that you don’t lose money. If you commit and treat this like a business, you’ll do very well, even If you have no Interest In football like myself. Having a separate bank, means that you won’t be dipping Into It to pay the bills and distracting you from the various methods for making money. ​What I love about this service Is the absolute lack of hype. It Is honest, professional, and over delivers In every aspect. You can watch Kevin trade live and see how easy he makes It all seem. I’ve seen some Incredible trading results during my membership. Steve tends to enjoy trading the correct score markets, which you can also follow along with. The very fact that you can see this trading In real time, dispels any smoke and mirrors idea. It’s all laid bare for you to see. There’s also loads of help and experience in the chat rooms and forums. You’ll be able to follow others trading systems as well as taking In the more advanced methods available to all members. Don’t worry about spending hours in front of the PC. Services such as Flashscores alert you to any goals scored, allowing you to get on with other things. In fact some methods are set and forget too, which are not only time friendly but successful too. In my opinion, Goal Profits has something for everyone. The support Is second to none as Is the quality of training. In fact the only downfall Is that the member’s area looks s little daunting at first, as there’s simply so much Information there. I guess that’s why Launchpad Is so Important. It’s tried and tested to produce consistent results. I really hope you liked my Goal Profits Review, It’s a great Service and comes highly recommended. Get your £10 discount today!